Bruce Naumann. Caned Dance, 1974. Color lithograph, ed 20/100, 21.75 x 30 in. Paul Ching-Bor. On The East River I, 2013. Watercolor on Arches paper, 15 x 22.5 in. Paul Ching-Bor. On The East River II, 2013. Larry River. 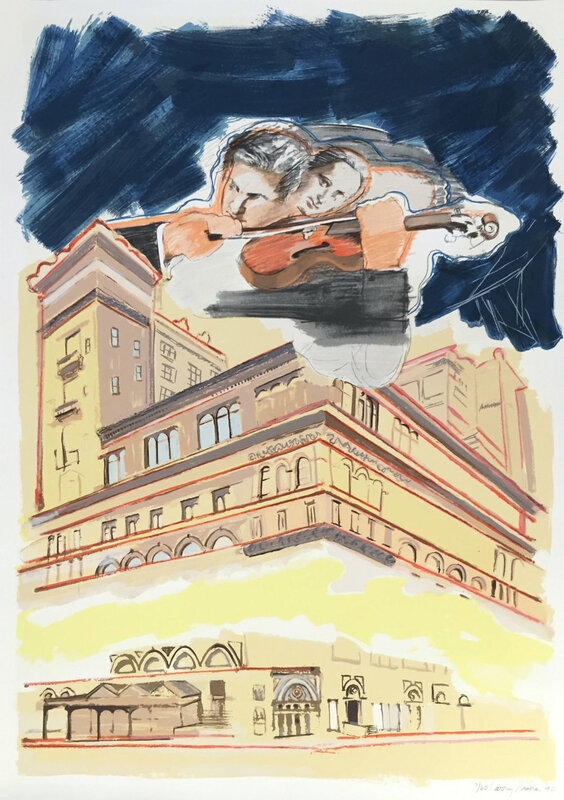 Carnegie Hall (from the Carnegie Suite), 1990. Silkscreen, ed 33/60, 57.5 x 40.25 in. 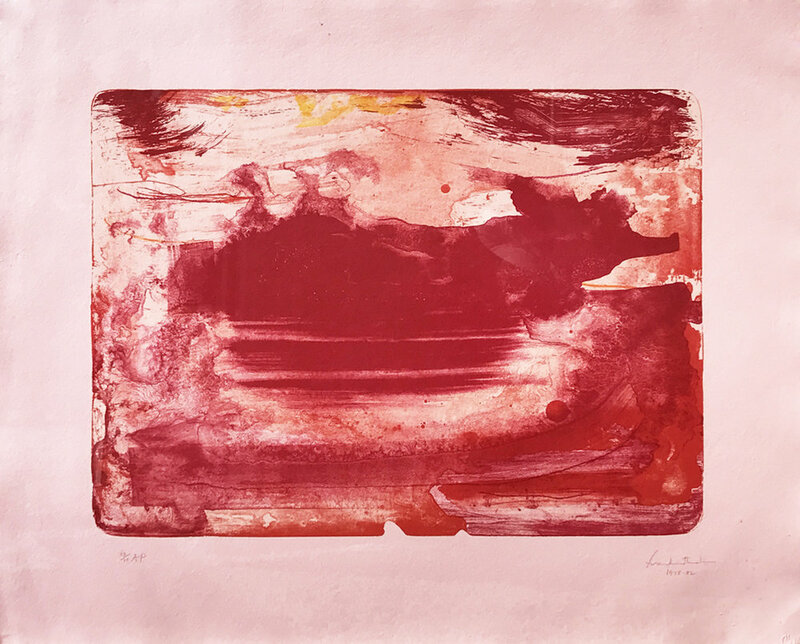 Lithograph, AP from the collection of Robert Rauschenberg, 25 x 47.5 in. Bin Feng. 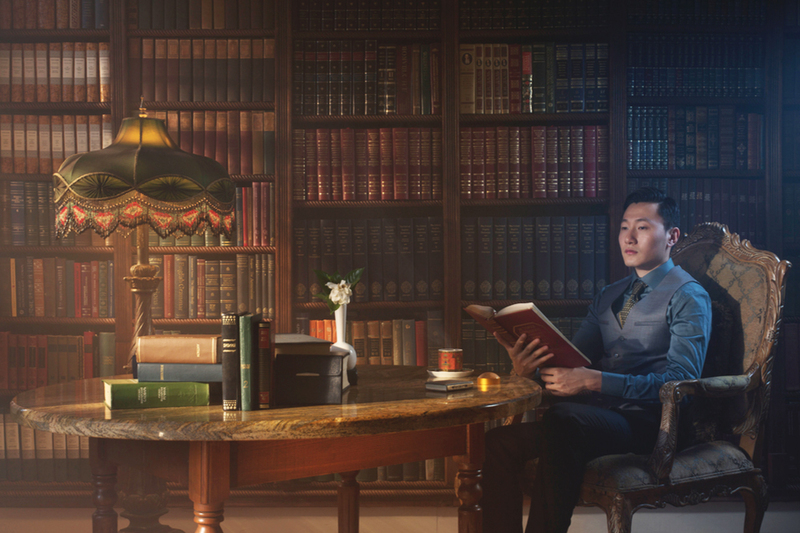 The American Dream - Scriptorium, 2015. Archival pigment print, ed 4/10, 40 x 60 in. RRF: 78.D049. Solvent transfer and fabric collage to paper, 20.5 x 23.375 in. 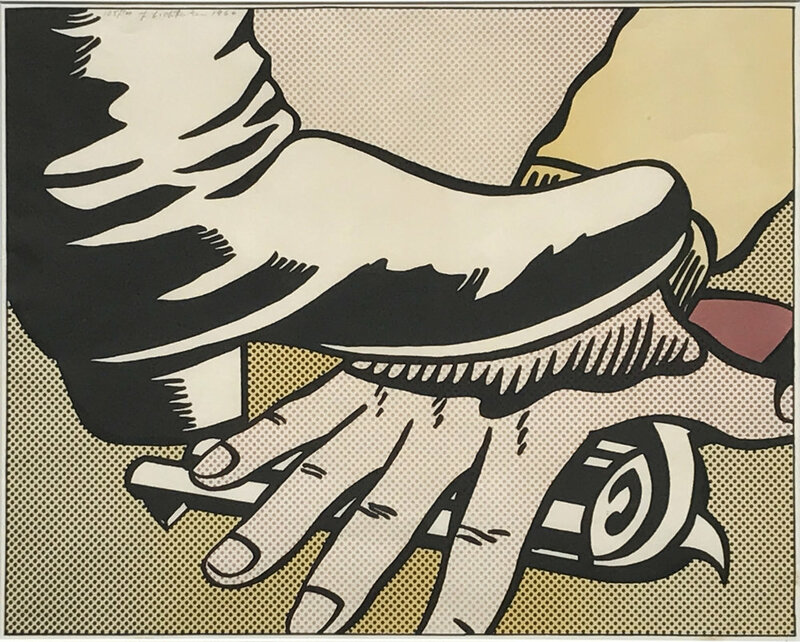 Roy Lichtenstein. Foot and Hand, 1964. Offset lithograph on white wove paper, ed 105/300, 17.25 x 21.5 in. Chizuru Morii Kaplan. Pantheon, Paris II, 2017. Thomas Hart Benton. The Race, 1942. Lithograph, 9 x 13.125 in. Lithograph, ed 13/14, 23.5 x 28 in. Robert Motherwell. Nocturne II, 1987. 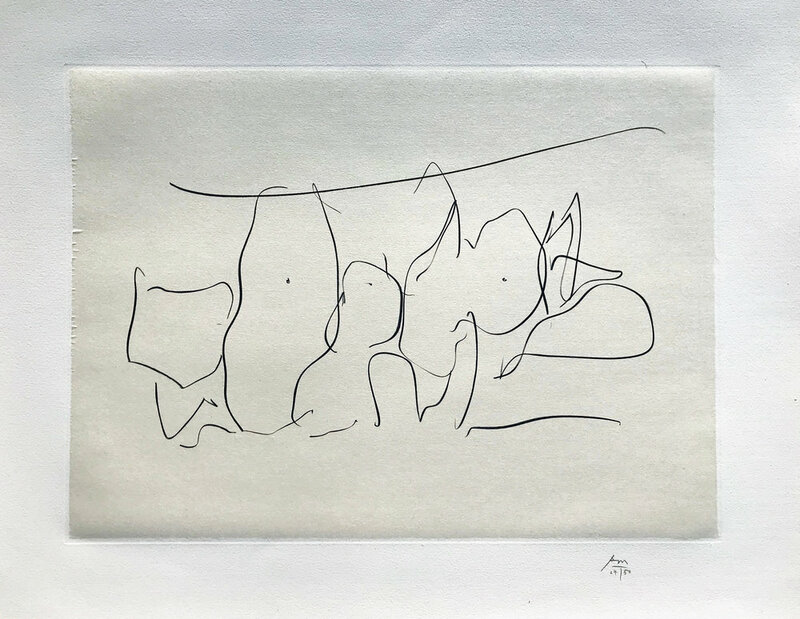 Lithograph and chine appliqué on Arches paper, ed 27/50, 25.375 x 21.375 in. Robert Motherwell. Nocturne VI, 1987. Robert Motherwell. Burnt Water, 1987. Lithograph and chine appliqué on Arches paper, ed 27/50, 28.25 x 22.5 in. Robert Motherwell. Mexico City Personages III, 1987. Lithograph and chine appliqué on Arches paper, ed 27/50, 26.125 x 31.5 in. Robert Mapplethorpe. 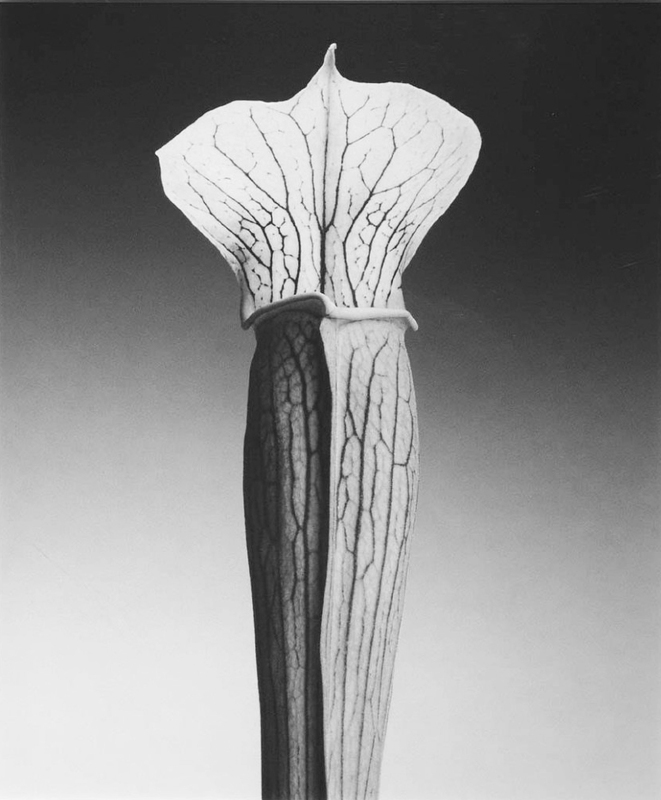 Jack In The Pulpit, 1988. Gelatin silver print, ed 4/10, 23 x 19 in. Larry Poons. Work on Paper 2, 2003. Acrylic on Paper, 8 x 11 in. 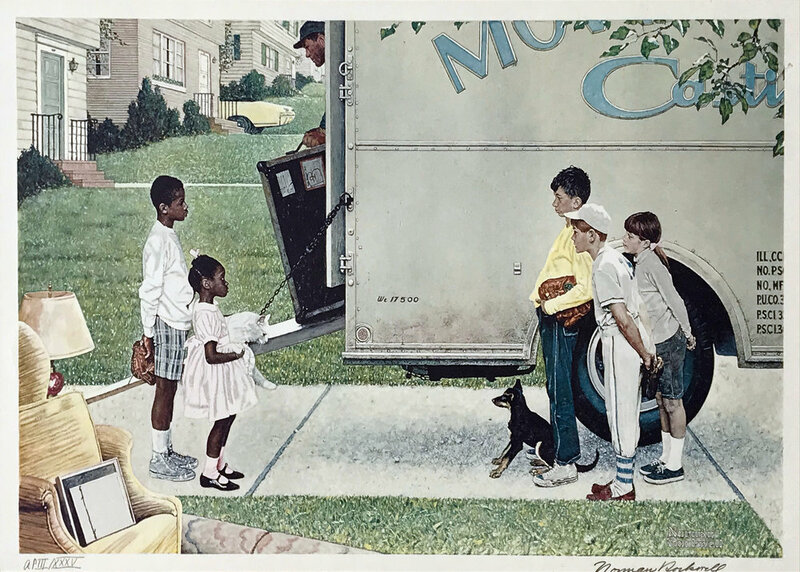 Norman Rockwell. New Kids In the Neighborhood, 1960. Lithograph and screenprint on Coventry paper, ed 3/35, 16 x 24 in. Eric Fischl. 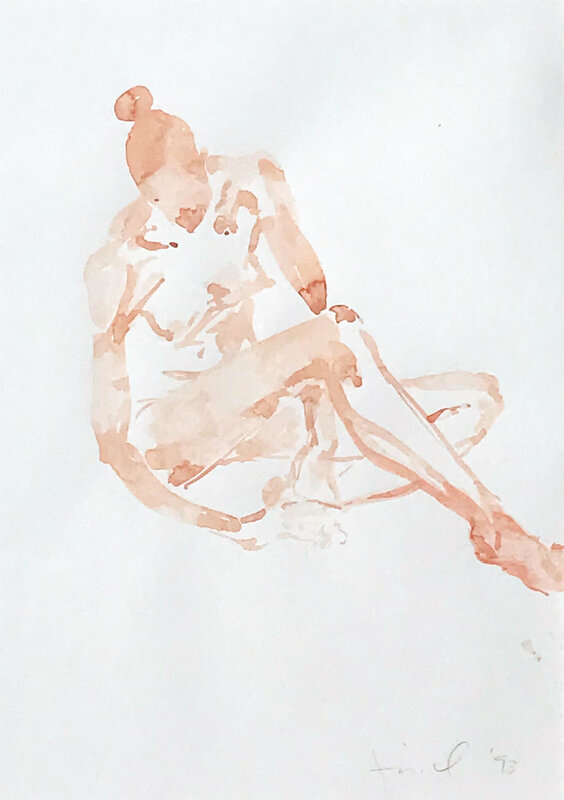 Untitled (Pink Girl Sitting), 1993. Watercolor, 16 x 11.5 in. Lithograph, AP 2/15, 42 x 42 in. 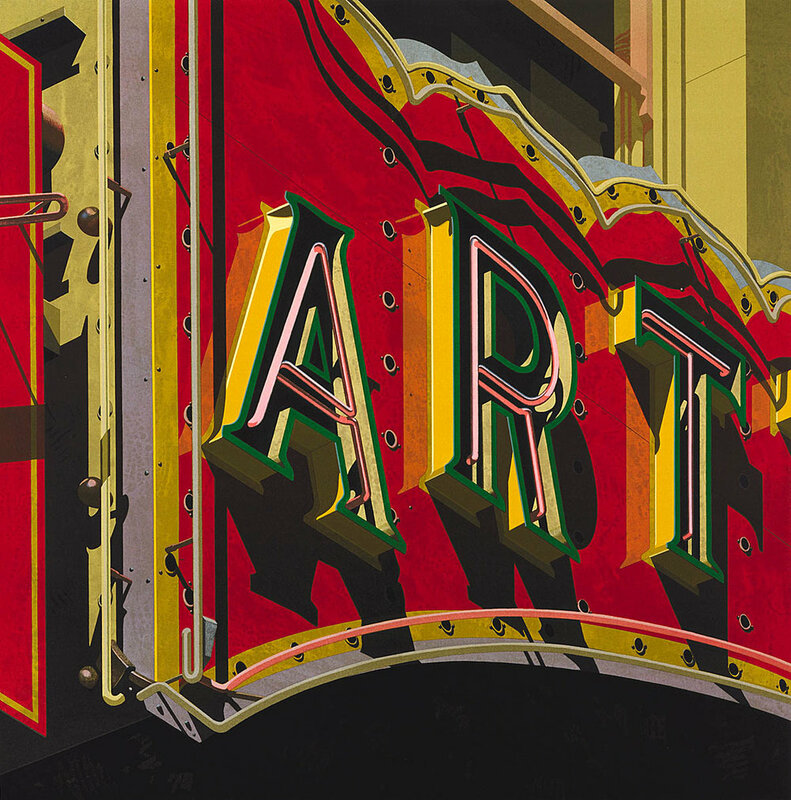 Eckert Fine Art presents American Works on Paper, a group exhibition featuring numerous Modern and Contemporary examples of drawing, watercolor, collage, printmaking, and photography by notable United States-based artists. The exhibition opens at 11am on Saturday, December 2 at 12 Old Barn Road in Kent, Connecticut. The exhibition will continue through January 7, 2018.